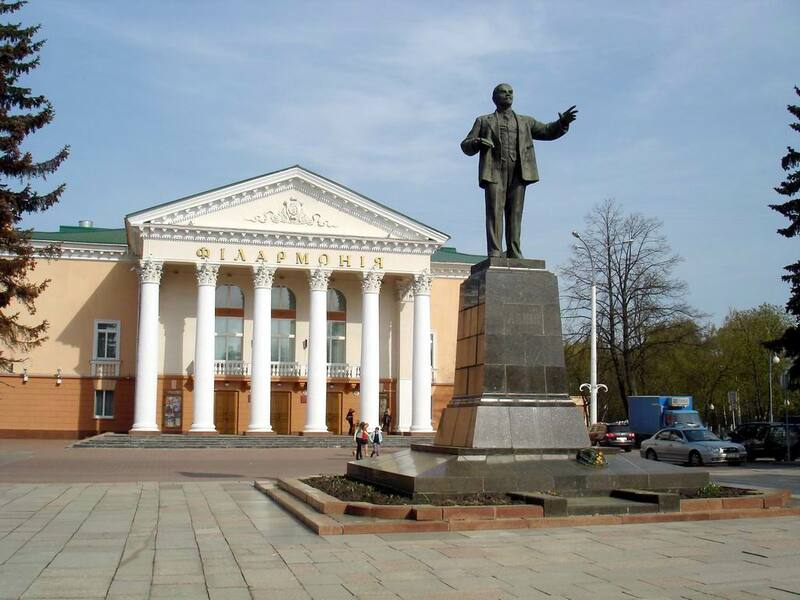 Lenin Square began to shape in the early 19th century, when a road to St.Petersburg passed through the historical part of Vitebsk, called Vzgorskaya Sloboda. 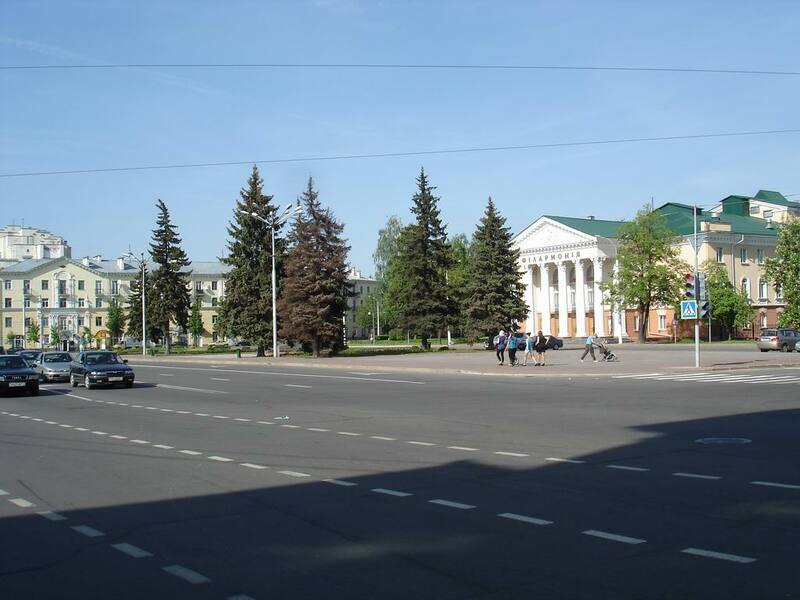 In the mid-19th century, this square in Vitebsk became part of the city center. In 1881 a guest house was built there for visiting merchants, but the building has not survived to our days. On the eastern side of the square the building a horse mail is located, and later from 1926 to 1941 – the city theatre. Before 1918 the Lenin Square was called Smolenskaya, because since 1861 there were stone shopping malls of Smolensk market. In 1930 a monument to Lenin was built on the square; it received its modern name in 1918 and bares it until now, despite the debunking of the cult of the leader. In the same 1930 the square was severely remodeled and made green. Unfortunately, during the Great Patriotic War, the territory of the square with the adjacent buildings had been destroyed. Only a building of the late 19th - early 20th century on the corner of Lenin Street has survived. Lenin Square acquired its modern form of in the 1960s of the last century. And today it serves as a meeting place for couples and business partners, because many cozy cafes are located nearby. Green Park of Partisan Glory across the street from the most beautiful square in Vitebsk is a great place for talk and walks for citizens and students of the Faculty of Education of Vitebsk State University located nearby, as well as people who have decided to spend the weekend in Vitebsk. The square is built up with modern 4-floor houses on the northern and southern sides. On the first floors of the houses there are shops, pharmacies, hair salons. And recently built covered shopping malls of Smolensk market attract with low prices and encourage with a rich assortment of goods. 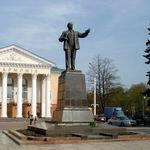 It is up to you to decide what to see in Vitebsk not going far from Lenin Square. 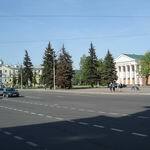 Whether it is the building of the Philharmonic Hall or bloomy Botanical Garden, Smyrev Museum or just a view of Vitebsk from the bank of the Western Dvina, flowing nearby, popular site of Vitebsk city portal VitebskCity.by will help you choose.